For its release of the 2019 Civic, Honda has thrown a variety of magnificent performance and style upgrades into the mix. From its spectacular suite of driver assistance technology to its new Sport trim level, our friendly and knowledgeable sales team here at Highland Park's very own Muller Honda are excited to help you fully explore these perks and far more. 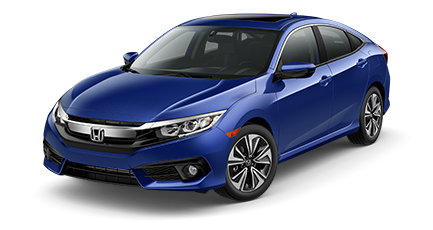 Our Honda dealer provides you with the hassle-free shopping process that you deserve, so you can rest assured that even if you’re hailing non-locally, such as from Chicago, you’re going to get first-class service, attention, and ultimately an awesome car-buying experience - as you should. One of the most valued aspects of the 2019 Honda Civic sedan and coupe trim levels is their Honda Sensing® suite of driver aids. Among this innovative safety suite of technology is autonomous emergency braking, forward collision warning, road departure mitigation with lane departure warning, lane keep assist, and adaptive cruise control. These expertly designed technologies are industry-leading protective and preventative vehicular components. However, accidents do happen, and in such situations, our Honda certified technicians are ready to service your vehicle with genuine Honda parts to ensure that your automobile is brought back to stunning shape with the proper components for powerfully smooth riding. As automakers annually improve performance, safety, and technological aspects of their releases, style is most certainly not swept under the rug. In its 2019 release of the Civic, Honda added a refreshing new Sport Trim option for both the Sedan and Coupe. This includes a piano black exterior trim, rear spoiler, polygonal exhaust tip for the sedan, and a 7-inch display audio system with Apple CarPlay™ and Android Auto™ capability. So take a short trip from Evanston, IL to learn more about the perks the 2019 Honda Civic will offer! Here at our new and used Honda dealership, our expert financing team strives to assist all drivers in getting into their vehicle of choice, regardless of rocky credit history. That’s why we offer loan assistance tuned to your individual financial circumstances. Don’t let your credit past stop you from experiencing your awesome auto future, team up with Muller Honda in Highland Park, IL today! Apply For Financing Get Directions Now!